All our students have equal opportunity and possibility to study or do on-the-job learning abroad. 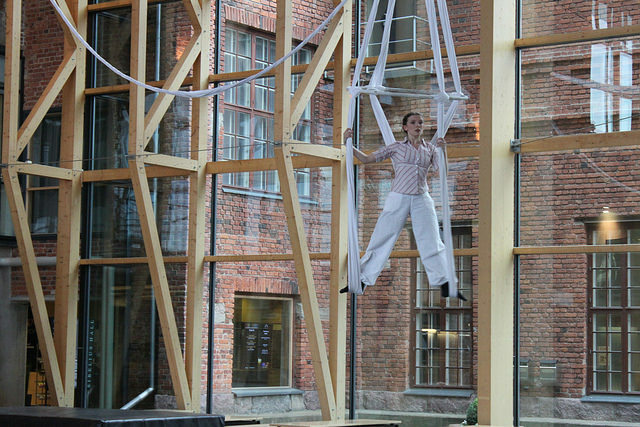 But if you personally don't have a chance to participate in mobility during your studies. We also aim to provide knowledge, skills and experience to all students to help them work in a global environment. Each year, over 100 students from Salpaus have a two to twelve-week study period abroad either, in a foreign education institution or by having an on-the-job training placement. Some of the most popular target countries are the Netherlands, Spain, Croatia, Scotland as well as other European countries. We also provide the possibility to study around the world, in recent years our students have studied in India, Taiwan, Singapore, the US and many other countries. Students and staff arriving from abroad are given the opportunity to share their international knowledge and skills with our educational institute and companies in our area. 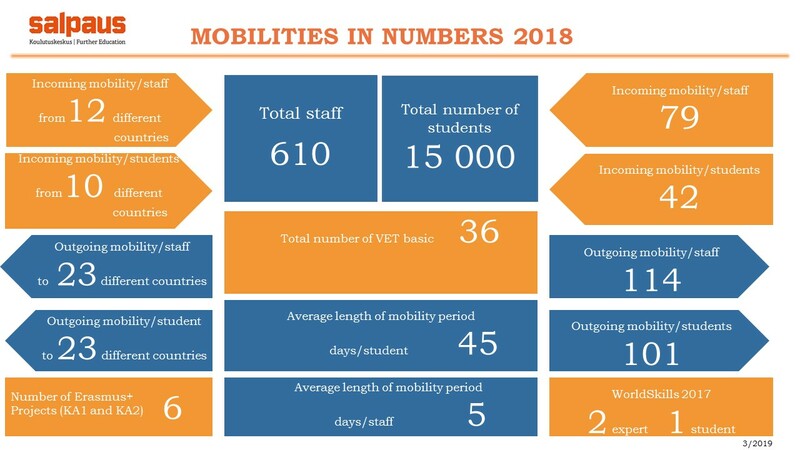 2018 was a good year for Salpaus in terms of mobility of students and staff. The following Infographic shows a summary of the year’s results. We plan in 2019 to increase our activates and create even more possibilities for Internationalization.